Here is Tilde the Tightrope Walker. Tilde and her dog are best pals and are an adventurous pair. She’s dressed in fun poofy red and white bloomers with a sweet yellow dotted ruffled collar and hair bow. Tilde is made from high quality cotton fabrics and wool felt. She’s available in the Shop. There’s also a giveaway on Instagram. Check out @mygalpals for details. Meet Lady Ava. This lady is sweet and lovely. She is dressed in cream colored dotted swiss fabric. Her bodice has a sweetheart neckline, and her airy skirt is trimmed with a pretty coral cotton fabric. 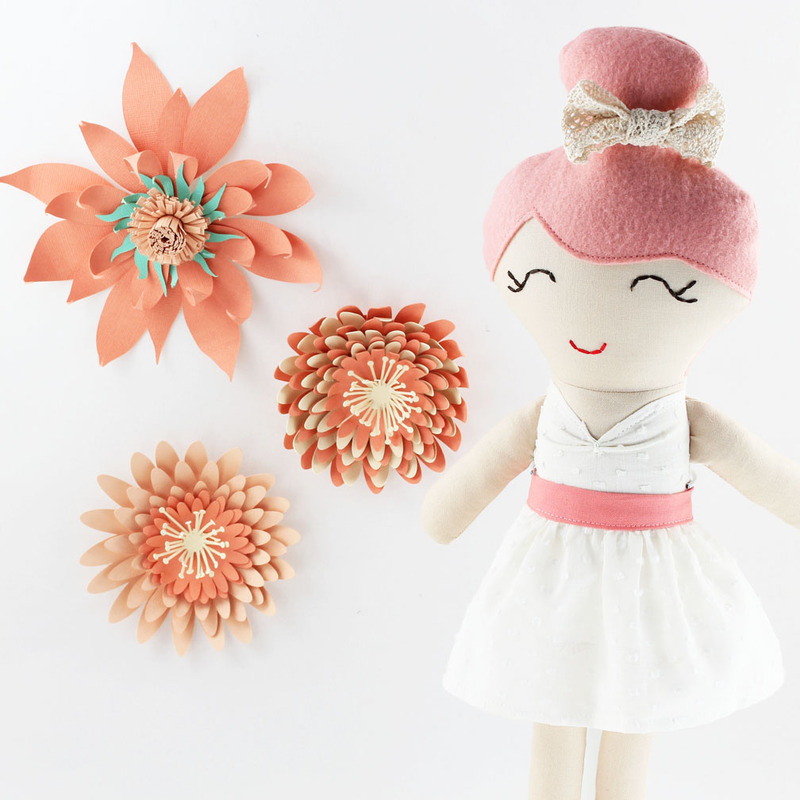 Lady Ava’s hair is made of wool felt, and a crochet lace hair bow adorns her elegant hair bun. She is approximately 17 inches tall and is for your little gal & your inner gal.